Arrival at the airport or bus station and transfer to the office of our Lodge and his tour Operator for the final talk about our tour before leaving to our adventure. In case you have big luggage, we suggest re pack to store the not needed items and carry just enough for the trip. Land transfer (4X4) wheeled truck to our destination for about 2 hours to reach the banks of the Tambopata River, if by river it will take more than 6 hours (just information). 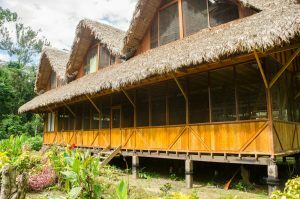 In this place we will take a boat to the lodge “Monte Amazoníco – Tambopata.” Welcome and Breakfast or lunch depending on the arrival time. In the afternoon we make an introductory walk into the rainforest where we will have the opportunity to see animals in their natural habitat as amphibians, mammals, reptiles and wonderful insects, among others. We woke up early, at 4:30, to leave for the lick of the world’s largest macaw clay lick the CHUNCHO, a journey of about 1:30 am, by boat, on the way we will have the incredible opportunity to see species such as capybara, which is the world’s largest rodents, tapirs, and you can even see the most beautiful South American feline, jaguar, many of our clients are witnesses with photographic evidence of encounters with these beautiful mammals. 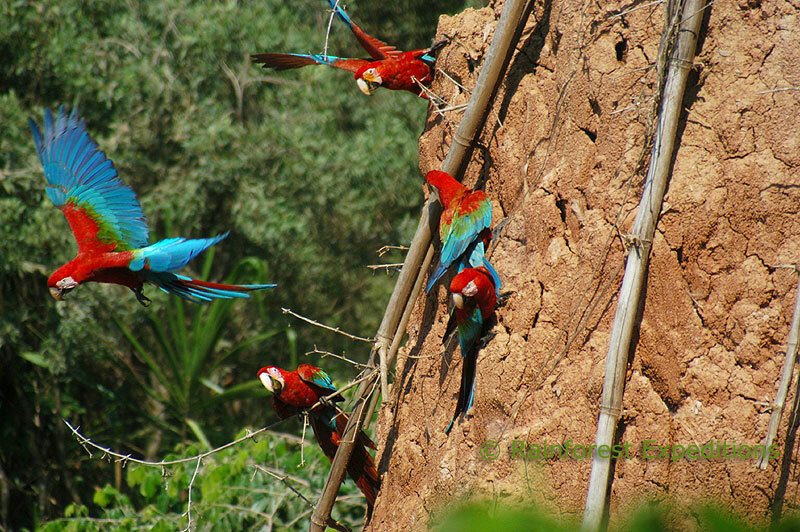 After arrival to the macaw clay lick see hundreds of different species of parrots that come to eat clay adjacent to the river wall. 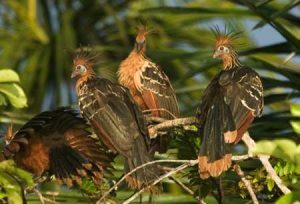 We will accommodate us in our saddles to wait to begin one of the most beautiful natural sights of birds in the world. 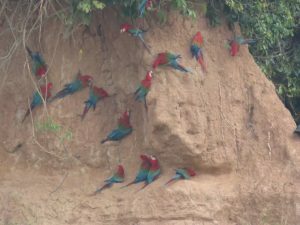 A parrots are followed by 3 species of macaws most colorful of America, reds and greens, blues and yellows more gather to eat clay needed in your daily diet and eliminate toxins. On a good day of activity you will see hundreds of these wonderful animals flying over you. An experience for life. After breakfast, our boat takes us to transport back to Puerto Maldonado and transfer to the port where we will take the boat for an hour until our lodge welcome with a refreshing fruit juice of our region . Accommodation is given. 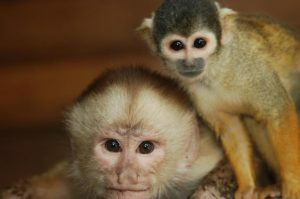 After lunch, we visit the “Monkey Island”, located in front of our lodge across the Madre de Dios River where we find different species of monkeys living on the island those species are the brown capuchin, squirrel monkey and saddle back tamarin; and return to the Lodge. 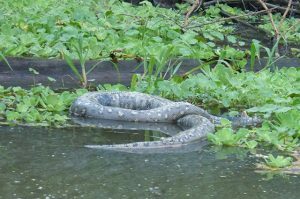 In the evening we will go for caiman search, white alligators are typically found on sand banks in the Madre de Dios River for which it will need to bring a flashlight. Also, we may see some capybara too, back to lodge, dinner and rest. In the evening we will one more opportunity to walk where we can appreciate diversity of species of insects, amphibians, reptiles and other nocturnal animals. – Dinner and rest. 5.30a.m. 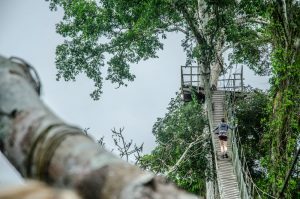 in the jungle Morning and a short walk to our canopy walk-way, about 30 meters high, allowing us to appreciate nature from as high as possible, we will also have a panoramic view of the Madre de Dios river. 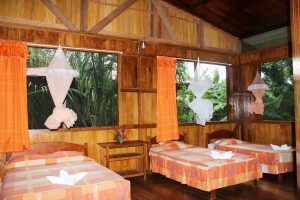 From platforms observe different species of birds, including toucans, macaws, tanagers, orioles, for sure it will be a wonderful experience. Breakfast and return to the city, airport transfer and / or bus station. 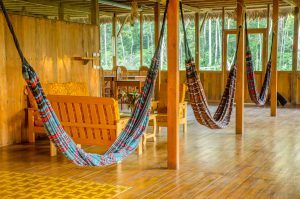 Not included.- bar consumption (alcoholic beverages), entrance to the Tambopata National Reserve US $ 24.00. IMPORTANT.-we recommend to bring mosquito repellent, flashlight, binoculars, personal items, sunscreen, hiking shoes, long shirts and pants.